This is a tale of Two Towers – both in a place named Paris, but one is in Tennessee and the other in Texas. The map below shows that they are about 8 hours away from each other. There are seventeen towns in the U.S. with the name of Paris (and one in Ontario, Canada as well — and I lived there for a while). I have been to Paris in Kentucky, Tennessee, Texas, Idaho, Illinois, Ohio, and Missouri. 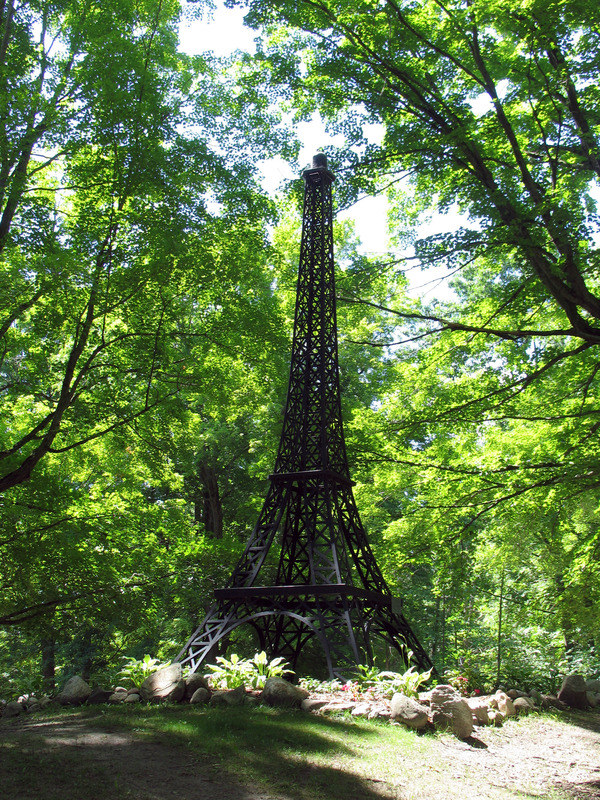 But the towns of Paris, TX and Paris, TN are the only ones to have an Eiffel Tower that is fairly large. Paris, Michigan has a smaller one. And there are a couple of other places, such as Atlanta, Austin and Las Vegas that have them…. but I am focused on the Paris versions. See this page for a list of NINE replicas around the world. I took a road trip to Galveston in June 2014 and along the way I had occasion to pass through both of these towns named Paris (Paris, TX and Paris, TN) and capture their versions of the Eiffel Tower. (I’ll have some posts about my trip through the state of TN, MS, LA, TX, AR, MO and some of the unique places I visited coming in August 2014). Both of these towers were built in 1993 and a battle ensued for the tallest. At first, the Tennessee version of the Eiffel Tower was originally built in 1990 at Christian Brothers University, but was later donated to the town of Paris, where is was moved and reassembled. The tower was designed to scale by Tom Morrison, professor emeritus of civil engineering; Jim Jacobs, assistant professor of mechanical engineering; and Roland Raffanti, engineering lab technician, from Christian Brothers University. According to Brother Patrick O’Brien, Morrison designed the model’s design based on the original drawings of Gustave Eiffel. At 60 feet tall, the tower is a nearly perfect 1:20 scale replica of the original. The Eiffel Tower in Paris, TX Texas’s was built by the Boilermakers 902, a labor union representing workers of the former Babcock and Wilcox Paris Plant, and was 65 feet tall. In 1998 when Tennessee moved its’ tower to Paris they expanded their tower to 70 feet. But, the Texans wouldn’t have it. They made the claim of being “The second largest Paris in the World,” so in 1998 town boosters added a large red cowboy hat to the top of the 65 foot tower, which made it a tad taller than Tennessee’s tower. Both are dwarfed by the massive Eiffel Tower replica in Las Vegas, but in the battle of the American Paris Towers, currently, the Texas version holds true to things being bigger in Texas…. I might be wrong, but isn’t there a scaled-down version of the Statue of Liberty near the Eiffel Tower in Paris, France? Something the artist did and gave to Paris? I personally think the cowboy hat is tacky!! We used to fly a French flag from our tower, but quit the practice because it became a rite of passage for high school age boys to climb up and swipe it. Yes, I discovered one in my then, 16 year old sons’ room. I guess I will have to renew the practice to top that danged hat!! Carl: I appreciate your kind response to the “Twin Towers” post and got quite a chuckle with your adding fuel to the fire. Maybe you need a big catfish on top, instead of a flag!! Fight tacky with tacky!! Talk about a new drawing card for us offbeat travel bloggers and Roadside America to drool over…. But, I guess a flag would work as well. I have seen a lot of reports that differ on “Official Heights” of both. Seems that after you moved yours to its present location you also made it a bit taller. Thanks Wendy!! I do enjoy your posts and site always!! You can also add Pennsylvania to the list. Paris, PA is just a little north of Route 22 before you cross in to Ohio. I need to go and “snag” that one. 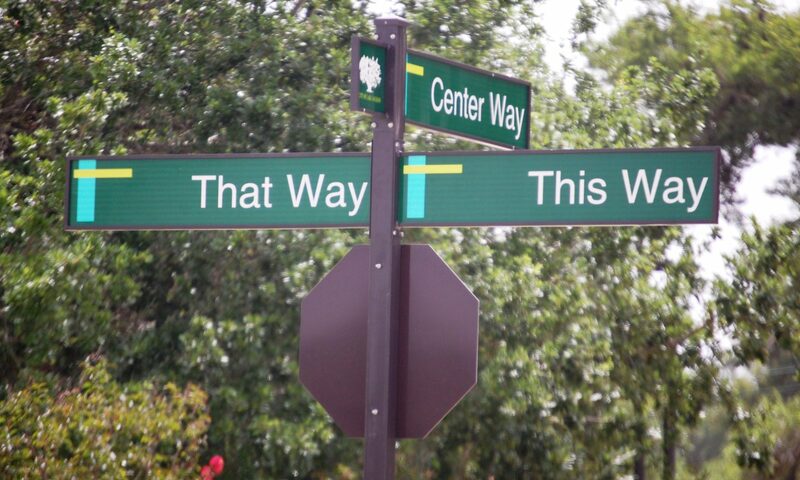 I’m not sure if it has any signage, though. We often go to the Pittsburgh area since my wife’s sister lives there. I may need to visit Paris on our next trip!